The mini-competition gave students an opportunity to learn how to build Mobile Apps. 8 students from Marquette University's College of Business entered the competition and presented several Android Mobile Apps. All 8 students won awards for their exceptional performance. The competition was co-sponsored by Xamarin and Professor Addo. "I am a senior at Marquette and majoring in Accounting and IT. I love all things computers and I enjoy applying both my Accounting and IT skills. I began learning about web coding just after high school and it was only until INTE 4051 did I start to learn about application programming using a .NET language. I hope to take what I learned from this class to keep creating mobile apps that people can use. ​"
​The competition was a great example of applying the logic that we learn in INTE 4051 (Business Applications) and also going out to learn new material ourselves and applying it to our app. It was also nice to have a professor who would try to help us at every step and was willing to match the amount of time that we put into the app by supporting us in any way he could. I had a lot of fun in the competition and it was nice to work with all the others that participated in it too​. "My name is Jozell Ousley and I am a senior in Marquette's School of Business double majoring in Information Technology and Human Resources. Prior to the competition I had some knowledge in Java and I never would have thought I would be building apps. At last, here I am now." ​During this competition I learned so much in so little time, built an amazing app, and made a lot of great friends on the way. At first building my app was very difficult, but it was worth it every time I completed a component of my app. At the end of the day, I am very happy with what I achieved and I will use what I learned to continue building apps! 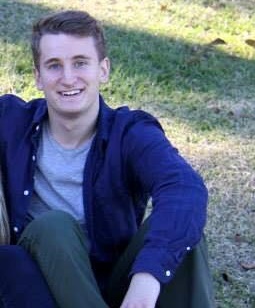 "My name is Elliot Van Susteren and I am a Junior IT major at Marquette. I am currently an intern for Johnson Controls Inc. in their Global Infrastructure department. This class was the first time I had ever programmed, so the mobile app development was pretty challenging, but ultimately very doable with the help of Professor Addo and fellow students. ​The competition was easily my favorite academic experience I've ever had. I have never done something more rewarding for school; the challenge and time-commitment really do pay off in the end. Professor Addo went the extra mile several times in order to help us get this thing done. If you're thinking about doing this project, just try it. You won't regret it. ​"I am a senior IT/Operations & Supply Chain Management major. My IT experiences so far have been limited to classes here at Marquette. I have had some previous coding experience in Java prior to this competition." This competition provided a great experience about the process of building a mobile app. I have never felt more joy than when I was able to get my code to finally work without any errors popping up. I experienced a lot of challenges throughout this project working with the Google Maps API keys but was able to overcome them with the help of everyone involved in the competition and Professor Addo. If you have an idea for a mobile app and are in this class, take this competition. It will push you to work harder on any other project; however, at the end of it, you will come out with a feeling of accomplishment and something nice to place on your resume. 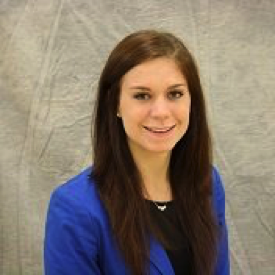 "My name is Beth Kellen and I am a senior in Marquette’s College of Business majoring in IT and Marketing. A professor I had in the fall semester of my junior year is the reason I decided to major in IT. Since switching majors and interning in the field, I have come to enjoy how innovative and problem- solving oriented the industry is, as well as how dynamic the projects can be! I am excited to begin my career in IT in GE Healthcare’s IT Leadership Program this fall." ​The App competition was really a challenge for me. Prior to this, I had little to no coding experience but after the first test in my Business Applications class, I thought it would be a great way to learn about coding in a very fast paced environment. Mr. Addo provided us an incredible amount of help and coaching through the process so even though I was not the most experienced, I felt I accomplished more than I hoped and learned more than I ever could have expected! 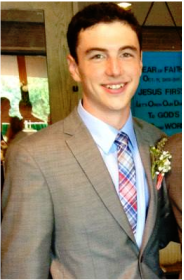 "My name is Cormac Brown and I am a junior in the College of Business Administration. I started studying IT in my spring semester of sophomore year. I have enjoyed it exceedingly! 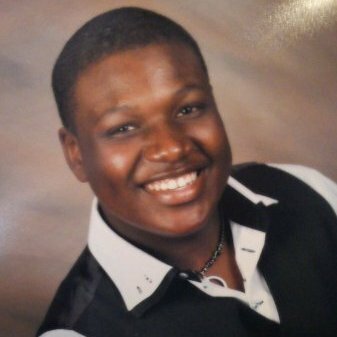 Dr. Addo’s classes have been very beneficial and have helped me to realize that I want to continue programming after college." This competition has helped me to realize how difficult and frustrating IT can be, but also reminded me how rewarding it is when you finish. What I enjoy the most is that you are left with something that you built. I want to continue to develop my app and see if it’s something that can be used. "I am a Senior in the Marquette Business school IT and Accounting programs and as of four months ago knew nothing about any kind of code or programming. I have always enjoyed technical things and electronics of all kinds but never in a million years would I have thought I would actually code and build my own application​." After entering Professor Addo’s class in August I was excited to learn more about how applications function and are built. Little did I know I would be entering this competition and exploring the creation of my own personal, and real Android app. I plan to take the skills learned from this competition to the real world and leverage them. I really enjoyed the problems I faced in building FrontMarq, and hope to create many more apps in the future. 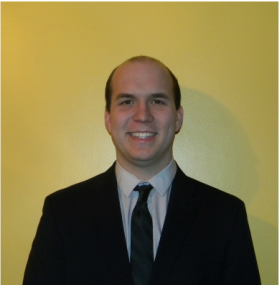 "My name is Justin Price and I am a senior here at Marquette majoring in Marketing and Information Technology. My only IT experience prior to this course was INTE 3001. Although I only have experience working with HTML code, I enjoyed taking this class because it challenged me in so many ways. At the beginning of the semester, C# seemed daunting. However, as the semester progressed, I felt far more comfortable as I worked on my mobile application." I always had aspirations to create a mobile application prior to taking this course. Additionally, I knew my decision to participate in the AP Program would yield dividends for me. I know this is only the beginning and I am excited to see the development of my mobile application in the next few months. To learn more about me, check out my website: http://www.justinaprice.com​. To learn more about my mobile application, visit greenlightinitiative.weebly.com.